Updated Jan. 19, 2018 at 9:54 p.m.
At least one sheriff’s deputy opened fire Friday on an auto-theft suspect — missing the parolee — during a pursuit through the far northern reaches of San Diego County and southern Temecula, authorities reported. The suspect was later identified as Cody Atchley, 31, said San Diego County sheriff’s Lt. Rich Williams. The meandering two-county chase, which ended with the fleeing man’s arrest, began about 9:30 a.m., when Carlsbad police officers in an unmarked car spotted a stolen Honda Civic near Pala Casino in Valley Center, Williams said. The officers followed the car and called for backup as Atchley drove to the north on Pala Temecula Road, Williams said. After entering Temecula, he drove over various residential streets, tailed by California Highway Patrol officers and Riverside County sheriff’s deputies, then headed south and crossed back into San Diego County. 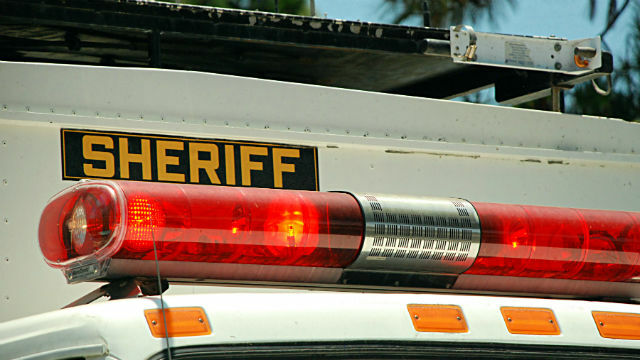 The personnel briefly lost sight of the suspect’s car before finding it abandoned in the 2900 block of Rainbow Valley Road in Rainbow, near Interstate 15 and northeast of Fallbrook. As the deputies and officers searched the vicinity, they soon spotted Atchley driving a second vehicle — a Ford Ranger — which he apparently had just stolen in the rural neighborhood. As the personnel tried to contact the fleeing man, he plowed the vehicle through a fence and steered it toward a Riverside County sheriff’s deputy, at which point the law enforcement shooting occurred, Williams said. Unharmed, Atchley continued fleeing for a time before crashing the vehicle into a creek bed. He then got out of the car and ran off toward Pala Community Park in Temecula. Deputies fanned out though that area and soon captured him. Atchley was booked into the Vista Detention Facility on two counts each of suspicion of assault with a deadly weapon and auto theft and one count felony reckless evading along with violation of probation terms. His bail amount has not been established. The San Diego County Sheriff Department’s Homicide Detail asked anyone with any information regarding the incident to call them at (858) 565-5200.